On November 8, Diabetes Will’s Way kicked off diabetes awareness month with it’s Wine, Friends and Giving Back fundraiser. The support and participation offered at the event was instrumental in not only achieving our fundraising goal, but also exceeding expectations. The board of directors at Diabetes Will’s Way would like to thank all who attended the event or donated online. 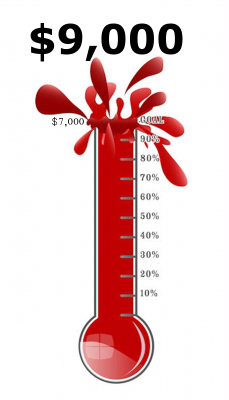 Because of you we were able to surpass the goal by $2,000. Today, November 14, we celebrate World Diabetes Day! We spend today spreading awareness about type 1 diabetes and its challenges. Type 1 diabetes can affect anyone, at any time. And, regardless of who is diagnosed, the entire family is affected. Our goal at Diabetes Will’s Way is to assist with the medical costs associated with type 1 diabetes. We serve young people in the United States who are underinsured (families that have insurance but have deductibles and co-pays that are so high affording these supplies becomes impossible). In honor of the almost 100 families we have served, and those we will serve during the holiday season, we ask for you to take action on World Diabetes Day. Forward our website to someone whose family is affected by type 1 diabetes and may need financial assistance or consider giving just $5, $10 or $15 to support a child who will receive a type 1 diabetes diagnosis when they least expect it. Help us be prepared when the next family in need calls! For the past 25 years, World Diabetes Day has been celebrated on November 14th. World Diabetes Day was created by the International Diabetes Foundation (IDF) and the World Health Organization. 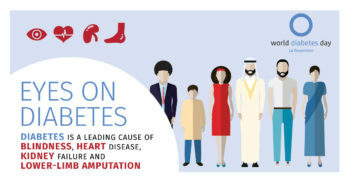 The two organizations partnered to create the world’s largest diabetes awareness campaign in response to the threat that diabetes could have on every person regardless of race, gender or status. Why is World Diabetes Day Important? There are more than 1 billion people in more than 160 countries who join together offline and online to share their stories, and to educate people on how to avoid complications such as blindness, heart disease and kidney failure. We encourage you to keep up with those who advocate for type 1 diabetes not just today, but every day. If you, or someone you know, needs financial assistance to obtain medical supplies for your child to avoid type 1 diabetes complications, please contact us to see if you qualify for a grant. Type 1 diabetes (diabetes mellitus) and type 2 diabetes both affect a child’s ability to regulate blood sugar in the body, but essentially they are separate diseases. 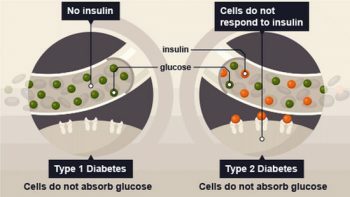 Type 1 Diabetes and Type 2 Diabetes: Similar Name, Different Diseases. The body’s immune system destroys the cells that make insulin. Meaning the body cannot absorb energy-producing sugar, requiring the type 1 diabetic to use insulin as his or her life saving treatment. Symptoms like thirst, frequent urination and lack of energy tend to transpire quickly. It is often misdiagnosed and if not caught in a timely manner can lead to severe life threatening complications. Children with this type can have many episodes of low blood sugar known as hypoglycemia and high blood sugar known as hyperglycemia. A myriad of factors can influence insulin needs including food intake, level of activity, hormones, illness and stress. It is a chronic, incurable auto-immune disease that is currently not preventable. It is less common. It accounts for 5 to 10 percent of those diagnosed with diabetes. Produces insulin, but the insulin becomes inefficient at regulating blood sugar. Some symptoms are similar to the type 1 diabetes, but happen over long periods of time, which becomes dangerous as some children do not recognize them. Children who have trouble metabolizing insulin tend to mainly have hyperglycemia. If hyperglycemia is uncontrolled over an extended period of time it can lead to serious life altering complications. Genetics and lifestyle play a large role in this type, and may be preventable. Once diagnosed, symptoms may be suspended with tight control of blood sugar; however, symptoms will return if control becomes lax. It is the more common type of diabetes, accounting for approximately 95 percent. 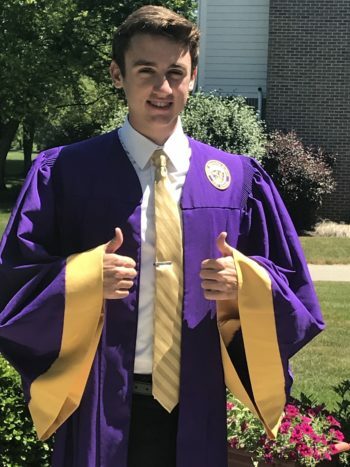 One of our goals at Will’s Way is to educate schools officials, family members and those who love someone with type 1 diabetes about what type 1 diabetes is…and what it isn’t. We are not a medical organization, and at no time do I or any of our staff members give medical advice, but what we strive to do is spread the facts about type 1 diabetes while dispelling the myths. If you or someone you know has been recently diagnosed, please reach out to us. We will be happy to answer questions about how we may be able to help alleviate some of your stress.